Good decisions require Good data. Whether it’s traffic on the road or people on footpaths, in public areas or visiting shops and restaurants, effective data collection means greater prerequisites for better urban planning, street design, transportation management and mobility. Traffic management market is super-attractive and is growing significantly since the emerging of intelligent technologies. What is the size of this market and what growth can we expect in the future? The traffic observance is rising trend and growing with the massive demand within the traffic sensors market. These observance offers traffic information sensors and systems for vehicle classification, shaft investigating, over height, and 3D vehicle identification. While, the electronic toll assortment is integrated with advanced RFID and GSM technology for the identification of traffic signals, and vehicle speed measuring. Traffic management systems formed the most popular segment in the market. They are used for managing traffic in cities and minimizing traffic jams on roads. 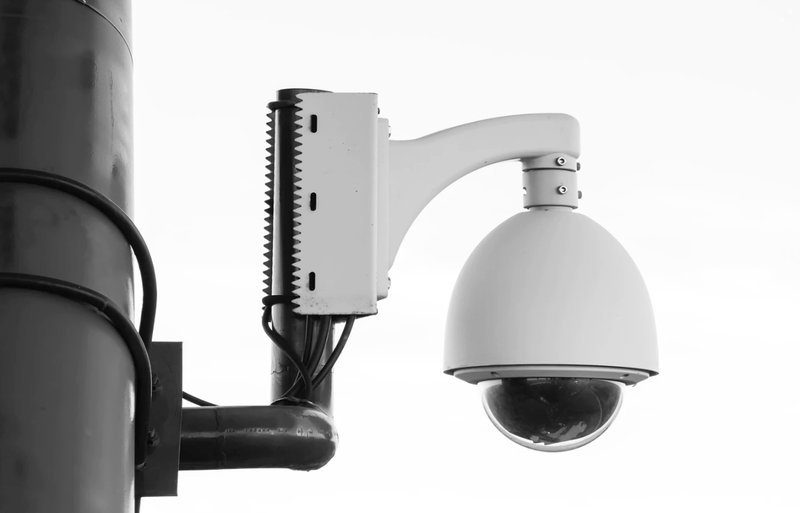 Prominent traffic management solutions include smart signaling systems, traditional signaling and video surveillance systems, route guidance systems, and intelligent video management systems. The demand for traffic management market is driven by factors, such as high demographic growth and hyper urbanization in developing countries, and government initiatives for traffic management under smart cities models. With the increase in the deployment of smart transportation solutions among the smart cities, the traffic management market is expected to gain a major traction during the forecast period. Major issues affecting most cities around the globe include lack of good quality and safe public transportation, heightened road safety concerns, inadequate capacity of public transportation, poor traffic management, overcrowded road networks, theft, poor road conditions, parking issues, and lack of modal options (including pedestrian walkways). These systems are expected to address challenges posed by growing number of megacities in both developing and developed regions and help in maintaining smooth traffic flow, safety, and an eco-friendly and sustainable urban environment. Rising number of vehicles, growing population, and hyper-urbanization are also expected to create need for upgrading existing systems. Increasing number of smart cities and rising adoption of IoT are expected to open up new growth opportunities. Government initiatives to curb greenhouse emissions are also anticipated to boost industry growth over the forecast period. Soaring traffic congestion in major cities across the globe owing to lack of proper parking space, rising number of vehicles, poor traffic management, and inefficient existing infrastructure and systems is anticipated to boost segment growth. In Europe, the directive 2010/40/EU was adopted in July 2010 in European Union member countries in order to accelerate deployment of innovative transport systems across Europe. Such government regulations are expected to favor industry growth over the next few years. The traffic management market size is expected to grow from USD 22.96 Billion in 2017 to USD 59.48 Billion by 2022, at a Compound Annual Growth Rate (CAGR) of 21.0% during the forecast period. The primary factor responsible for market growth is increasing focus of governments on building smart cities. This is anticipated to drive its demand as it is an integral part of smart city projects. The smart transportation market, based on service, can be classified into business, cloud, and professional services. The global smart transportation market size was valued at USD 56.25 billion in 2016, expanding at a CAGR of 22.5% over the forecast period. The cloud services segment dominated the market and was valued at USD 7.56 billion in 2016. North America accounted for over 27.0% of the global revenue in 2015. The Asia Pacific market is anticipated to witness the fastest growth over the forecast period, owing to several government initiatives. Europe is expected to present significant opportunities for industry expansion, owing to early adoption of several new technologies and rising traffic congestion in major cities. The traffic management software segment is expected to contribute to the largest market share. The Global Traffic Sensor Market is expected to exceed more than US$ 380 Million by 2022 at a CAGR of 8.5% in the given forecast period. The road safety market is expected to exceed over USD 6.0 billion by 2022 owing to the increased road fatalities leading to the emerging need for road safety and security. The segment is anticipated to retain its dominance over the forecast period, attributed to rising demand for storage of large amounts of data generated on a daily basis. The professional services segment is also expected to foresee substantial growth, owing to increasing need for consulting services. They facilitate upgradation of existing systems to newly advanced systems, thus propelling demand for professional services. Europe is expected to contribute to the largest market share, whereas Asia Pacific to grow at the fastest CAGR during the forecast period. Europe is expected to hold the largest market share and dominate the traffic management market from 2017 to 2022. The region has been extremely responsive toward adopting the latest technological advancements, such as smart signaling and route guidance software. The major growth drivers for this region are the large-scale investments in the smart transportation and smart cities projects and need for better traffic management and control mechanisms. The Asia Pacific (APAC) region is in the initial growth phase; however, it is the fastest-growing region in the global traffic management market. Increased urbanization has resulted in traffic congestions. High adoption of solutions to minimize congestions, along with better traffic management and control, has led to a wider demand of traffic management solutions in the APAC region. The traffic management software segment is expected to hold the largest market share. The scope of this traffic management software covers smart signaling, route guidance, traffic analytics, and smart surveillance. There has been a tremendous increase in urban population, resulting in traffic congestions across the city, which has increased the need to manage and control the traffic. The traffic management software ensures streamlining of traffic information for predictive analytics and traffic enforcement. The deployment and integration services like various SmartCity platforms segment is expected to have the largest market share and projected to grow at the highest CAGR during the forecast period. Deployment and integration services help in reducing the deployment and integration time. These services are crucial for developing end-to-end traffic smart signaling, route guidance, traffic analytics, and smart surveillance solutions for the traffic management market. The increasing requirement for upgrading traditional traffic management systems to support various smart cities and traffic management drives the deployment and integration services segment in the traffic management market. Conventional, “in-situ” technologies refer to traffic data measured by the means of detectors located along the roadside. Generally, traffic count technologies can be split into two categories: the intrusive and non-intrusive methods. The intrusive methods basically consist of a data recorder and a sensor placing on or in the road. They have been employed for many years and today the most advanced sensors are with image processing capabilities. The Global Traffic Sensor Market is segmented on the lines of its technology, sensor type, application and regional. Based on technology type segmentation it covers RFID, 3D/2D, GSM and Others. Based on technology it covers LiDAR sensors, Radar sensors, Magnetic sensors, piezoelectric sensors, Image sensors and others. Based on application type it covers Laser measurement systems, Electronic Toll Collection System, Hot spot detection system, Road tunnel sensors system and others.